Yulia and Pavel enjoyed a perfect photo walking tour in Venice. Yulia and Pavel, a young Russian couple who hired me for a honeymoon photo shooting in Venice gave me the chance to enjoy a lively photo session which can well explain what I mean by “informal photo shooting”. This is the kind of photo service I like to propose to most of my clients asking for a pre-wedding, destination wedding, honeymoon photo service, or just for a couple portrait in Venice. It basically means letting the couple careless strolling in the city, exploring its most hidden alleys, squares, perhaps relaxing for a while sitting on stairs or benches, resting in a café, or kissing under an arcade. In the meanwhile I make the most of my camera, equipment and experience to get some high-quality shots of these moments without asking the couple to pose for most of the time we spend together. I let the couple discover by themselves and admire Venice’s different faces, sometime suggesting to have a look at my favorite secret spots or play with funny poses, like jumping o running towards each other. 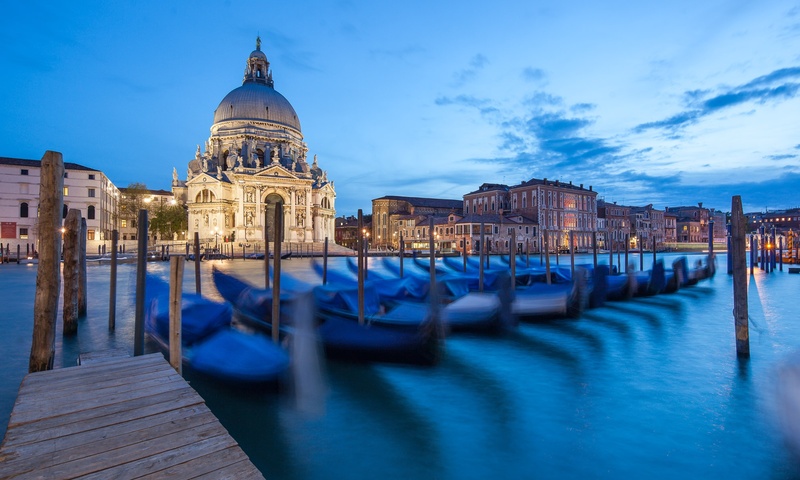 Needless to say, we also stop in Venice’s most romantic spots to make some shots with “classical” backgrounds, like Rialto Bridge, San Marco Square or the Academia Bridge. Rialto Bridge was also included in our photo walking tour. Yulia and Pavel enjoyed their photo walking tour very much, let themselves be amazed by the city and spontaneously played with me and with each other: the result is a series of funny, informal and original shots, alongside some more “standard” couple portraits in Venice. What about you? Are you ready for your own informal photo walk in Venice? For further examples of couple portraits in Venice see my website.